Living with a chef requires that you tolerate bushels of produce piled on the cabinet, stuffed in the cooler, and lining the kitchen wall. We must use our fruits and vegetables in the best way possible before they rot or collect insects. The same considerations can apply to your workforce and dealing with a “bad apple” employee. A Bad Apple Employee: Meets and exceeds performance expectations, but lacks specific skills. Has a high KPI in “Bad Attitude,” which affects employees, vendors, and customers he/she interacts with on a regular basis. Bad Apples excel in the areas of negativity and poor disposition, from being drama queens to kings of complaint. They may also have inadequate communication skills or exhibit off-putting habits. The bottom line is that you have an employee who, on the surface, is a drain on morale. Identify exactly what the employee is doing that makes him/her a Bad Apple. Is it something that can be modified with coaching or training? Assess performance. If their work is mediocre and their Bad Apple attitude is bringing down high performers, then it may be time to reconsider their employment. Evaluate whether the problem with the Bad Apple employee could potentially be an issue in their department or the company at large. Is this employee trying to shed light on a greater issue? Consider the leadership with whom the Bad Apple is working. Is the current leadership ill-prepared to handle the employee’s concerns or issues? Is current leadership managing this person ineffectively? Examine the employee’s current workplace affect. Ask someone outside of the Bad Apple’s day-to-day if the problem employee is upsetting the flow of the workplace, or is just rubbing their manager the wrong way. HR and other managers can take a non-biased look at the bigger picture. Examine the employee’s past workplace affect. Check his/her pre-employment background screening, specifically, prior employment references to see if the current issues are ones that have previously been identified. Employees with tenure can be a problem. Many times they have been moved around to fix the problem and have worked under different managers in different departments, but there are reasons why they have not been terminated. Perhaps those reasons are no longer valid, and it may be the time they seek employment elsewhere. Some years ago, I had to terminate a Bad Apple employee. Conversations were always awkward, and he would often ask his office crushes to take pictures with him for his website. His workspace was distracting in its messiness, which often surged into his coworkers’ areas. After several complaints, we tried putting him in his own office to minimize his negative effect on others, but his peers still complained. I terminated his employment and spent a fortune trying to replace him. The experience taught me to anticipate Bad Apple employees and make a plan for dealing with them in future. There is a solution to any problem, be it a Bad Apple employee, a bad bunch, or a bad manager, and you have to work to find the answer. If the Bad Apple’s value outweighs the cost, then it is your responsibility to find the solution that will enable your company to perform at the highest levels while still getting along. As for the constant turnover of produce in my house, Chef Christos carves away the rotten parts and uses the rest to create one of his “best ever” meals. During our gourmet feast, he reminds me of how much we would have to pay to enjoy this meal at a restaurant (a lot). As a business owner constantly pursuing improvement, I can admire both his economical use of the good and his unapologetic disposal of the bad. After all, the spoiled bits could have ruined the whole dish. Closely consider the value of your bad apple. You will always have at least one, so make sure you’re tossing only the most infectious or un-salvageable. It is far more costly to replace a position multiple times just to discover a larger problem that was never about the employee at all. Remember: sometimes it’s not the apple that’s bad, but the picker, the bushel, or even the tree. 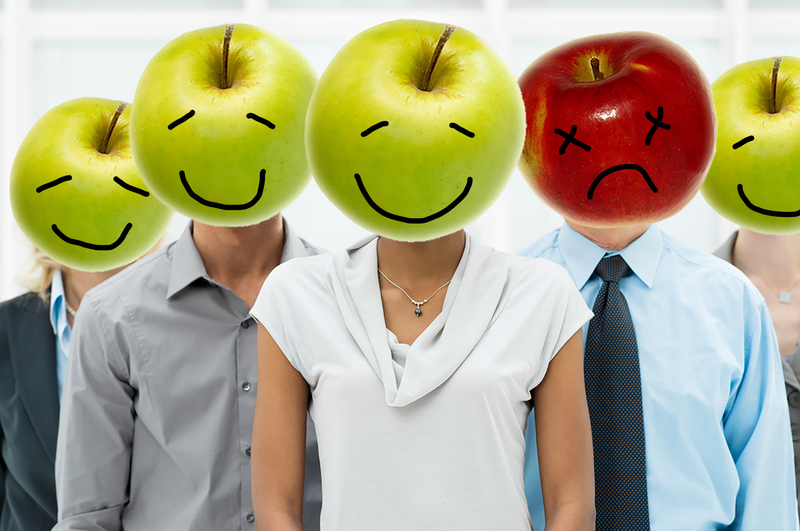 Do you have a “bad apple” employee in your workplace? Share your story with me social media.